The forms and shapes of palms provide an abstract orderly beauty in the rainforest's chaotic abundance. They're a favorite subject for photographers! But as always in nature, the leaves are shaped this way for a particular reason. 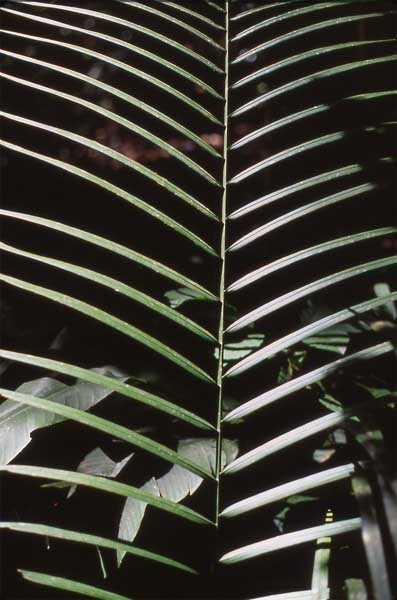 The shapes depend on adaptations necessary for the plant to maximize its efficiency in its niche. Plants have different shape leaves because of their past evolution and because natural selection shapes them to be adapted to their niche.